This is just something random...As human beings challenges in life are inevitable and many a time things and people disappoint us. Naturally, our first reaction is to complain. For me, I've found that its not really something bad to complain at times as we do need an avenue to express and release out how we feel, if not it'll bottle up in us and explode in time! LOL..but really its true.. Complains are useful indeed, especially in the business world, businessmen feel that complains are free advice and free feedback. Instead of trying to predict future problem or seek profound advice from consultants, customers are giving you their opinion for free about how things are goin on in reality! That's just one side of it, sometimes the complains don't come in such a nice way, can be pretty nasty sometimes. I guess one way to overcome is not to take it personal lol.. BUT constantly complaining can sometimes make others and even ourselves frustrated. Reason being probably because complains without action will not do any help to improve a situation. I guess when we complain, we need to trace the root cause of it and find ways to solve it. Easier said than done, but with a conscious effort probably can be achieved wheee! hahah..
Take a few deep breaths. Loosen up those tensed muscles. When you are more calm, you're able to make more rational decisions. Do. Not. Yell. This will only aggravate the situation, the other person, and yourself. If you stay calm, chances are the other person will realize how ridiculous they sound and they will start to calm down also. Leave other people out of the argument. It's between you and the other person(s). Dragging someone else in will only make the situation worse. Be careful of your body language. Keep your arms at your sides or better yet, sitting down (without your arms folded) will show the other person that you're not looking for a fight. Listen and hear what the other person has to say. A better understanding of why the person is upset in the first place will help both of you diffuse the argument more quickly. Should you feel the need to explain your side, do so in a non-aggressive way. Don't verbally attack the person or make demands. Consider the other persons point of view. Everyone is entitled to their own opinion, even if you don't agree with it. Put yourself in their shoes. Ask the other person what you can do to make it better and/or how the problem can be resolved and actually be willing to go along with whatever the answer may be. Water is the essence of life, no living creature or plant can survive without it. Water is the source of life. What lies behind this transparent, tasteless liquid?? 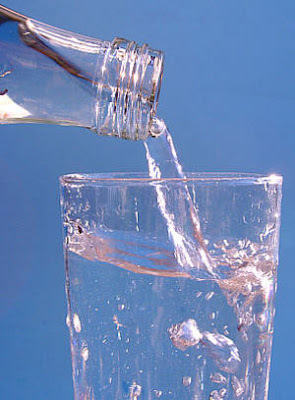 In general, we are all recommended to drink lots of water and to consume about 8 glasses per day. WHY? Our body is made up of 55-75 percent of water. Not drinking enough water means we're exposing ourselves to dehydration. In turn, we'll get headache, dizziness and tiredness. Other than that, water is a healthy, natural drink as it contains no sugar :D It also helps detoxify our body-some people just drink water for one whole day to detoxify :) Simple and easy method haha..